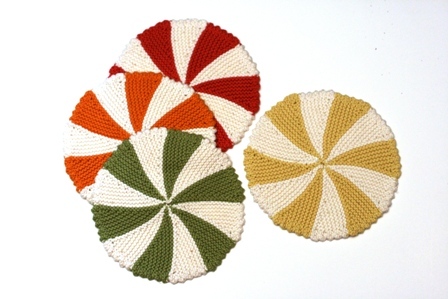 Free Knitting Pattern for a round pillow with four color stripes that radiate out from a center button. 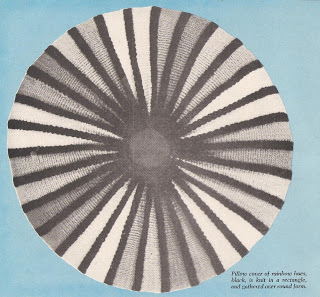 The pillow is 18 inches in diameter; vintage 1950s. Shaker Dishcloths and Coasters – VeryPink offers knitting patterns and video tutorials from Staci Perry. Short technique videos and longer pattern tutorials to take your knitting skills to the next level.